Bonio The Original Biscuit - 1.2kg. 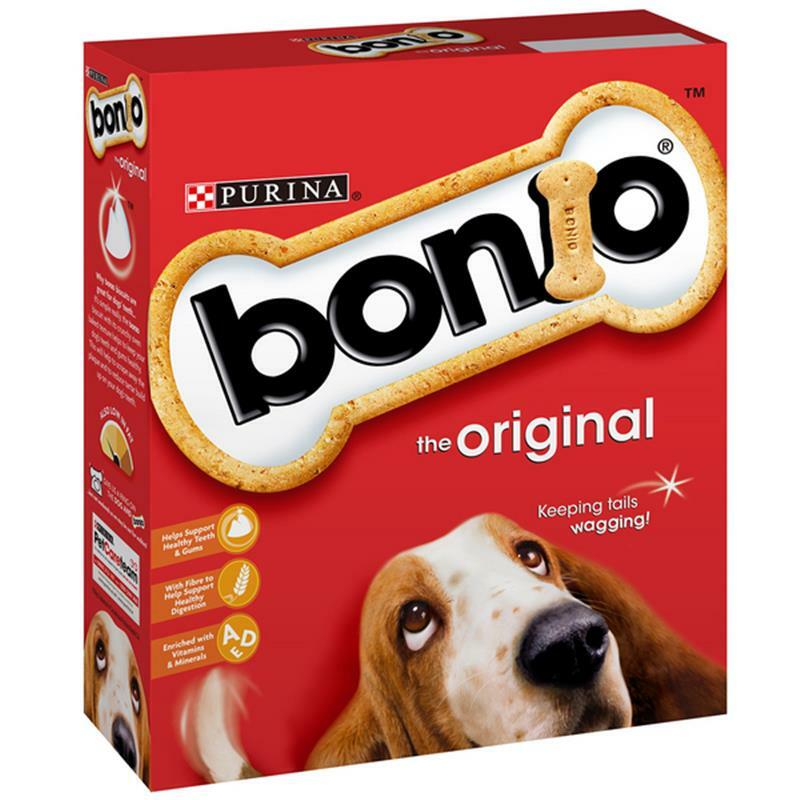 Every single yummy Bonio biscuit is lovingly and traditionally oven baked, offering a low fat, complementary pet food for adult dogs. Bonio original biscuits are enriched with vitamins A, D & E, each biscuit helping to support healthy digestion, teeth and gums. Composition: cereals (90%, with 30% whole wheat), derivatives of vegetable origin, oils and fats, meat and animal derivatives, minerals, various sugars.